New Jersey Monthly recently released their latest issue which listed the 25 best restaurants of 2016. Three of the establishments happen to be very close to Third & Valley and we can’t wait to visit them! Verjus– This restaurant has been a favorite in Maplewood for 15 years. Chef/Owner Charles Tutino trained under well-known Jean Jacque Rachou at La Cote Basque in Manhattan. He specializes in French dishes but also will show off his culinary talents by rotating theme nights with traditional fare such as German, Italian and Irish on St. Patrick’s Day. Tutino also knows his stuff about wine and carefully selects the menu based on quality and value. Some selections off the dinner menu we suggest are escargot, Maine lobster bisque, pan seared scallops, hanger steak and the Peking duck. Verjus also has a very nice scotch selection and serves brunch on Sundays. Common Lot– Although it just opened in April, there’s a reason why it’s among the best in New Jersey. 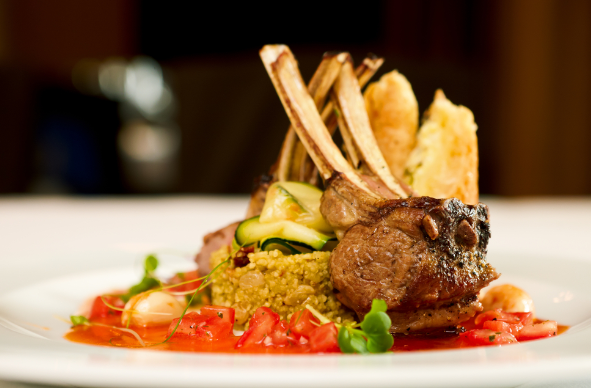 One of their specialties off the lunch menu is a braised-lamb salad with couscous, arugula, tomatoes, cucumber and yogurt. Yum! For dinner enjoy the dry-aged Ribeye for two which comes with green beans, broccolini and well-browned potato chips. This is a BYOB restaurant. Lorena’s– Treat yourself to this high-end restaurant which has been open for 11 years. People travel from all over New Jersey to enjoy this spot and lucky for us it’s only about a 5 minute drive from our building. This is also a BYOB restaurant so bring your finest bottle! Lorena’s summer menu consists of grilled Spanish octopus, watermelon and tomato salad, lump crab with wild mushroom and for main courses you’ll find Atlantic skate wing and halibut, braised short rib and rack of lamb.